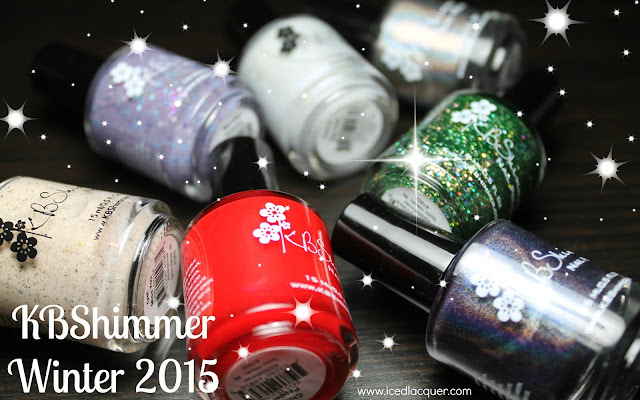 If you haven't already heard, KBShimmer is celebrating their 5th anniversary in business! 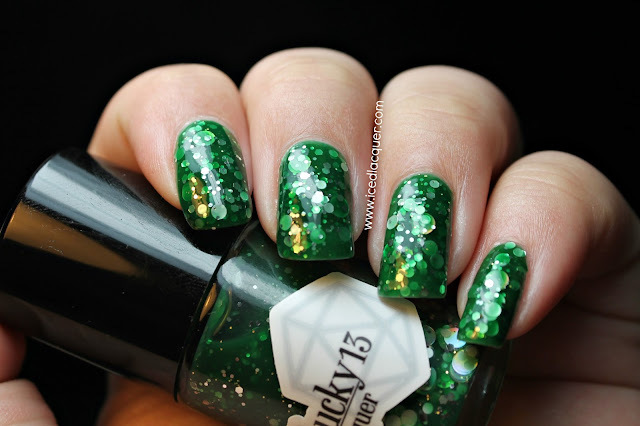 To help them celebrate, I'll be showing you a couple of polishes from the existing line up! "Shipwreck" - A blue-green jelly base with hex glitters in gold, green, teal, and purple as well as some tiiiny orange rectangles. (They aren't quite tiny bars and they aren't quite squares either!) There are also some larger aqua hexes in there. 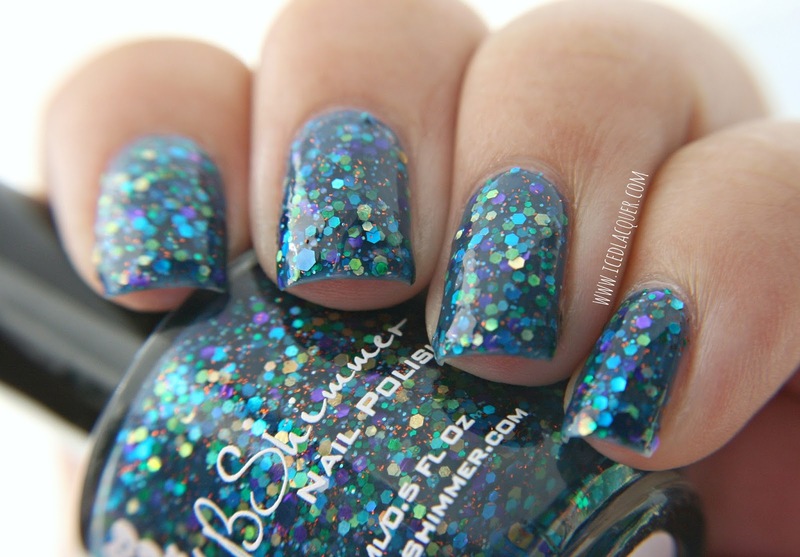 I needed three coats for full opacity here, but I loved how much depth those multiple coats gave it! I'm so happy to have this one in my collection now! The added orange glitters just make this one unique and it almost makes me think of a coral reef in the ocean. 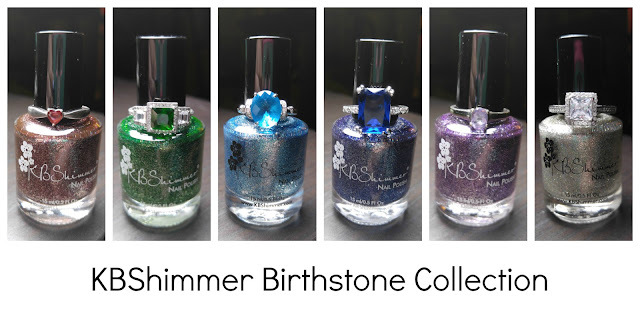 Make sure you follow KBShimmer on Facebook and if you're looking to add some KBShimmer shades (or even bath and body products) to your collection, now is the time to do it! 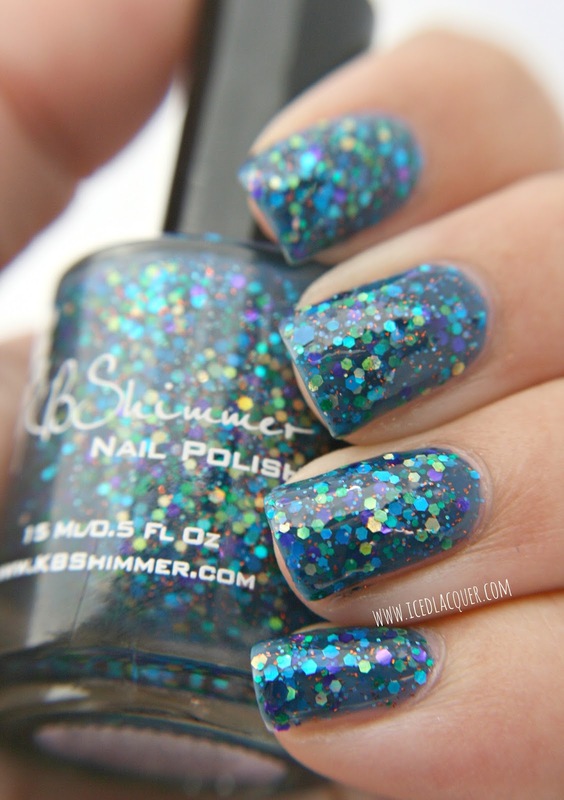 Right now through the 14th you can get 20% off your order on www.kbshimmer.com!